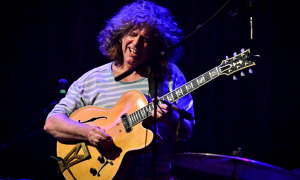 "We've been trying to get a gig here for forty two years," Pat Metheny told the crowd at the Belfast Waterfront. Happily, the Missouri guitarist had at last found the city. It had been hidden out of sight all the time, on the far side of Ireland from America. He should have asked Charlie Haden or Ornette Coleman. His old sparring partners knew. 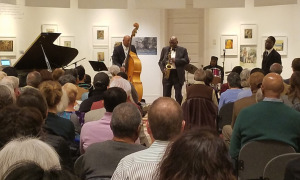 As Metheny told All About Jazz in a recent interview this has been an atypical tour for the multiple Grammy-winning guitarist/composer. With no album to promote he's been trawling his considerable songbook for material, some of which he hadn't touched in years. 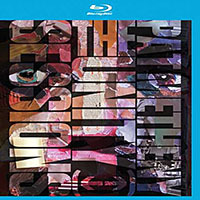 So, in effect, a Greatest Hits tour, though with a new quartetGwilym Simcock and Linda May Han Oh alongside long-standing Metheny drummer Antonio Sanchezto re-tarmac well-travelled roads. 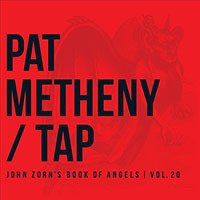 The customary zither-esque intro from Metheny on his 42-string PIkasso guitar ("Into the Dream") suggested that little in the way of surprises lay ahead. Sure enough, the mix of crowd-pleasing titles, pin-drop acoustic ballads, boppish burners, bursts of keening Roland guitar-synth and solo/duo spots pretty much followed the blueprint of previous tours. 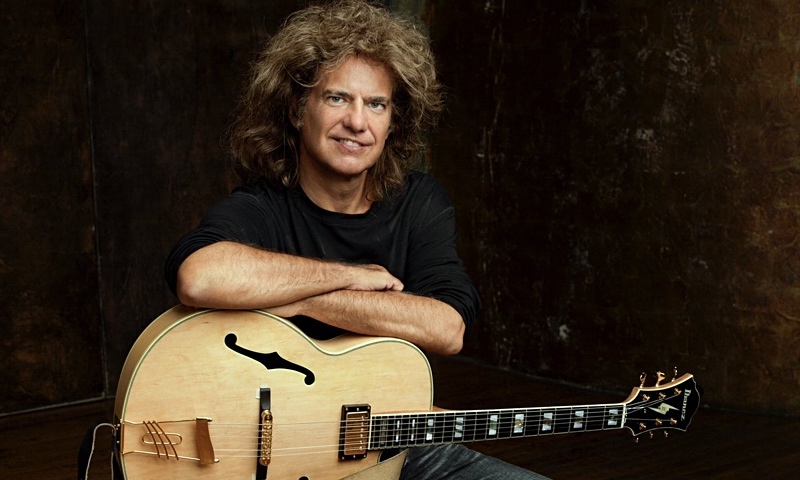 It's a format, and a hefty songbook, that has served Metheny well over the years, while the recent adoption of his compositions as a credited course at Berklee College of Music attests to his ongoing influence on subsequent generations of musicians. Metheny's audience, however, at least in Belfast, seems largely to have aged right along with the sixty-three-year old guitarist, judging by the bladder-enforced exits at the end of every song. It was a set of multiple highlights, though the cringingly bad sound at the outset played havoc with "So It May Secretly Begin." Simcock too, was terribly low in the mix initially, rendering his comping all but inaudible. 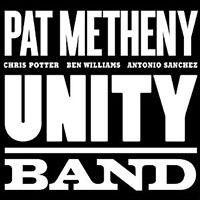 Oh fared only slightly better in the early stages, drowned out during the bop-flavored workout "Lone Jack"with Metheny and Sanchez delivering excellent extended solosthough the muddy sound did clear to some extent thereafter. 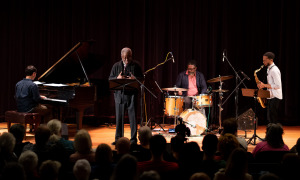 The biggest cheers of the evening were reserved for "Bright Size Life"where Simcock finally came stylishly into his ownand "Unity Village," testament to the classic status Meheny's debut album Bright Size Life (ECM, 1976) has achieved forty plus years after its release. In a program peppered with individual bravura performances, not least from Metheny himself, Oh's lyrical, beautifully measured solo on the latter tune provided one of the set's most emotionally persuasive moments. Throughout the evening Metheny varied the pace and the dynamics, juggling soloists and configurations. Simcock was chief protagonist on the breezy, mellifluous "Better Days Ahead," followed almost without pause by the brushes- led ballad "Always and Forever." 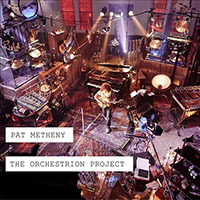 The cut and thrust of "The Red One," featuring Metheny's fiery Roland guitar-synth was likewise juxtaposed against the pastoral introspection of further pristine acoustic balladry, with Metheny's delicate play framed by Simcock's soft orchestral touch on synthesizer. 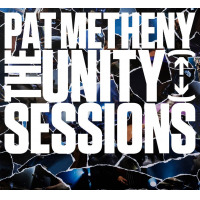 Metheny is a really fine balladeer, with a penchant for caressing melodies and a lightness of touch, though the auditorium's acoustics somewhat negated the warmth in the collective playing. 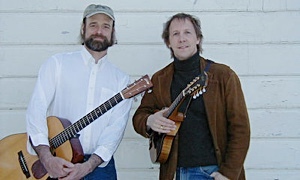 Three duets followed between Metheny and his companions, the gentle lyricism of "Change of Heart" with Oh and "Phase Dance" with Simcock contrasting with the sparky guitar-and-drum meeting of "Question and Answer." And, just as the concert had begun in time-honoured Metheny fashion with the Pikasso, so too it finished with the customary acoustic medley that came as the first encore, the guitarist weaving together "Minuano," "This is Not America" and "Last Train Home." The second encore saw Metheny wield the Roland guitar-synth one final time on a storming version of "Song For Bilbao," with closing hurrahs from Simcock, Oh on electric bass, Metheny, and the effervescent Sanchez. 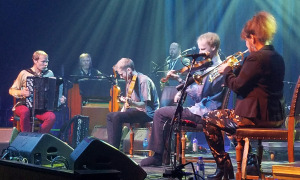 This was the penultimate gig on an eighty-date tour during which Metheny has clearly relished revisiting old songs, and to some degree, reimaging them with this highly accomplished band. 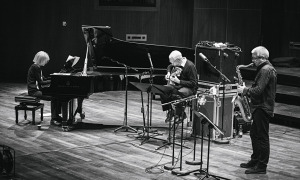 Whilst Sanchez remains the fulcrum and improvisational sounding-board for the guitarist, Oh and Simcock seemed stretched by few of these arrangements. 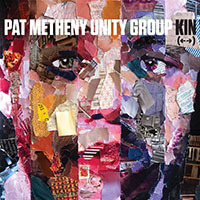 Metheny too, whilst sounding as good and as committed as ever, appeared to be operating well within his comfort zone. Maybe that was the point, for after forty three years of touring new music each time perhaps Metheny just wanted to chill out. 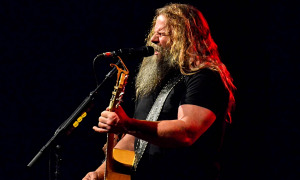 His songbook is deep enough to carry on doing this sort of tour forever, as indeed many groups do, but you suspect that, as so often in the past with this restless artist, there's a creative curveball just around the corner.